ODB Brussels (Belgium) co-organised a round-table on the prospects of social entrepreneurship in Belarus that became part of the first Belarusian Entrepreneurship Week, in Minsk. The event, was jointly conducted by the Ministry of Economy of Belarus, Republican Confederation of Entrepreneurs (Belarus), Social Business Technologies (Minsk) and ODB Brussels (Belgium), gathered representatives of Belarusian CSOs and social enterprises, Ulej crowdfunding platform (Belarus), Russia's Fund of Regional Social Programs "Our Future", as well as a number of students. 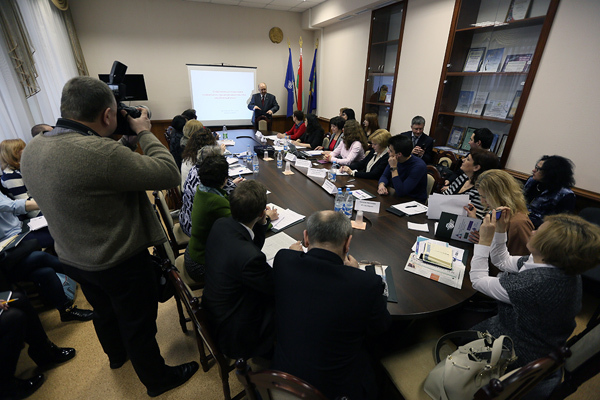 Participants learnt about the development of social enterprises and social entrepreneurship in the USA, funding conditions for social entrepreneurs in the Russian Federation, the experience of implementing social projects in Belarus through crowdfunding, and discussed prospects of social enterprises in the context of Belarus. 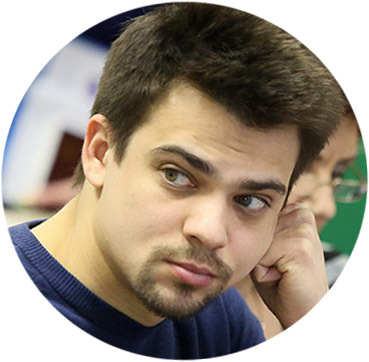 According Eduard Babaryko, Development Director of Belarusian crowdfunding platform Ulej, Belarus already has a successful track record of social project funding: according to Ulej's statistics, Belarusians on average spend about $23, a fifth of all announced projects are socially oriented ones and about 60% of them go on to succeed. Most often, such initiatives are supported by common people, which, according to the funding expert, is fairly typical for crowdfunding platforms in Russia and other Post-Soviet countries, where microinvestors and microsponsors respond more willingly to social issues. At the same time, crowdfunding is effective, for example, when social enterprises develop new products and bring them to market. As Eduard Babaryko, Ulej Development Director, explained to the participants, the platform allows you to test an idea of a new product on the market and see how potential customers would react to it: you can put up a new project or service, offer people a chance to pre-order it and see if people are ready to fund its creation and then buy it. In this regard, says Eduard Babaryko, crowdfunding differs significantly from the traditional economic model of production, where goods or services that are "unnecessary" to consumers can be brought to market, while crowdfunding gives you an answer to the question "do we really need this right now?" "The right to choose your future is a wonderful thing that no one really thinks about. It's when we don't go to shops and do not choose from whatever they have, but when we go to a website and ask "What should be there tomorrow?" adds Eduard Babaryko. Crowdfunding, according to him, is closer to venture financing. Crowdfunding has already been enshrined in the US law, but in many countries it is still not legally defined. Creators of the first Belarusian crowdfunding platform have spent a lot of time to examine the local legal framework and financing schemes through the Internet. 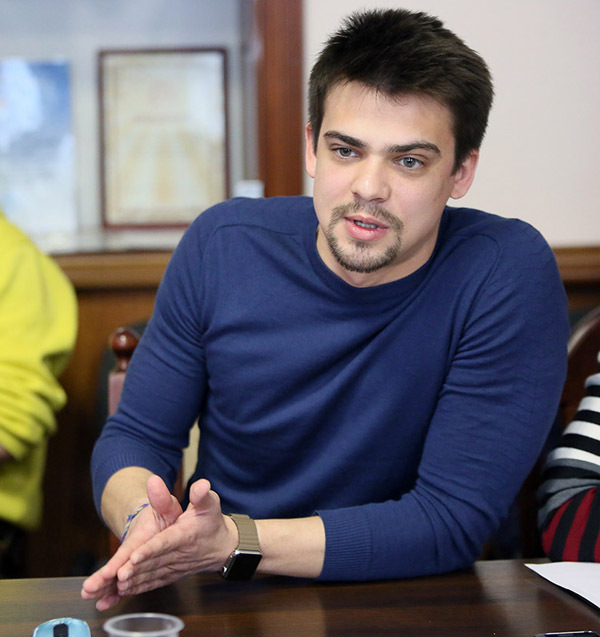 In March 2016, Ulej in cooperation with Belarusian State University launches the first free crowdfunding school in Belarus, currently only for BSU students. The course will run for 3 months and will be focused on training specialists in preparing and holding crowdfunding campaigns for various projects. Introducing the US experience to participants, Lyudmila Istomina, consultant at the Belarusian Fund of Financial Support of Entrepreneurs, explained that social enterprises in the USA are managed by private businesses and non-commercial organizations. Specialized companies provide employment to vulnerable groups of population (disabled people, ex-convicts, alcohol addicts, etc.) or produce goods and services for them, or do both. Lyudmila Istomina cited the example of TROSA, a hybrid corporation that is one of top 5 social business companies in the US. It comprises 5 companies employing people who suffer from drug addiction, at the same time enrolling them in a US government rehabilitation programme. TROSA actively buys and rents accommodation for their drug addicted employees nearby the company's manufacturing facilities, and in just one year, the number of residents of this programme went up from 300 to 500 people. TROSA earns 80% of its funds, with the rest coming from state budget and private donations. 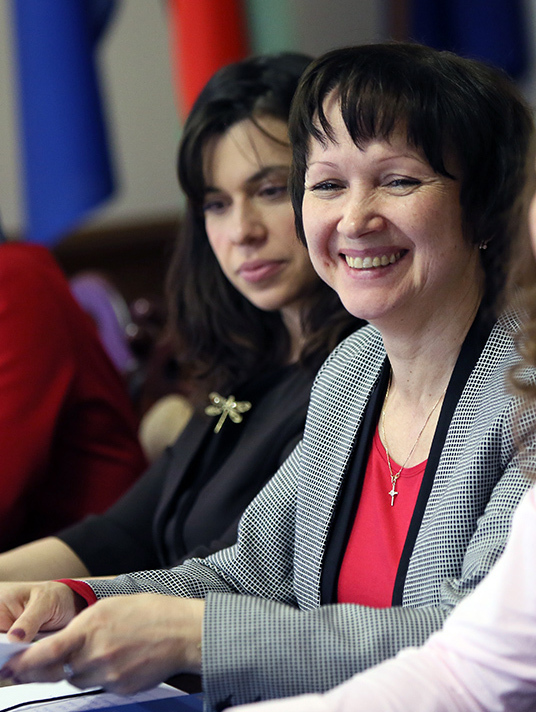 When addressing the participants of the round table, Lyudmila Istomina noted that pursuing that career of a social entrepreneur is a prestigious thing for young people in the US. Mass media gives these issues a lot of attention, one example being Forbes Magazine. According to the expert, it was the government that "catalyzed" the development of social entrepreneurship in the USA: Obama's administration established a dedicated Office of Social Innovation, set up a student programme to support their endeavours to set up social enterprises, created a social innovation fund and a preferential procurement programme for social enterprises. Talking about Russia's experience in developing and supporting social entrepreneurship, Anna Brusnitsyna, expert at Our Future regional social programmes fund, shared that their organization provides interest-free loans to social entrepreneurs in Russia under three categories: startups, existing projects, and repeat applicants for existing social entrepreneurship projects. Loan funds for such entrepreneurs are the only viable alternative to commercial bank loans. The Fund supports and supervises social entrepreneurship projects, provides mentoring. According to Anna Brusnitsyna, Our Future fund, which was set up in 2007 with private funds of Vagit Alekperov, owner of the Russian oil company Lukoil, has become a leader and "catalyst" of social entrepreneurship development and support in Russia: the fund provides online learning opportunities on how to do social entrepreneurship, choose from existing ideas and social company format, and even how to sell the non-food products manufactured by social entrepreneurs in retail outlets at Lukoil gas stations through a More Than Purchase competition. The expert drew attention to the lack of legal regulation of social entrepreneurship development in Russia. At the state level, these matters get support only from the Ministry of Economic Development of the Russian Federation, but social enterprises have no special statue, tax benefits or commercial loans available to them. "Our legal framework is currently not at the level we would like to have for our social entrepreneurs. Our Fund is putting forward initiatives to change legislation, but it is not that easy", emphasizes the expert. - "You have to understand why people go into social entrepreneurship. When we buy something in China, add margin and sell it, we have a clear understanding that we do not help anyone, we are just the middleman who does not resolve any social problems. When there are no problems, there is no social entrepreneurship, there is just commercial business or CSR. A social entrepreneur in Russia is, among other things, one of the pillars of import substitution that offers vulnerable social groups a way to get affordable goods and services that are much cheaper than the ones that come from the Western alternatives". Turning to the Belarusian experience of social entrepreneurship, participants of the round table were introduced to the work of Art Idea, a social enterprise operating in Belarus. 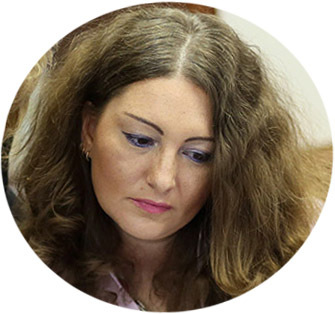 10 years ago, its director Natallia Ampleeva, doctor by education, set a goal of creating a socially oriented workshop for young people with mental disorders. According to her, the Belarusian state has written them off as unable to receive any kind of professional training, and their providing for themselves was out of the question. However, socializing and working individually with every such worker today yields tangible results: Art Idea now manufactures printed goods (business cards, posters, calendars, etc. ), souvenirs for wedding ceremonies (bonbonnieres, designer cards and place cards) and haberdashery for children (hairpins, bracelets, brooches, etc.). "We want to set up an employment model for this category of children, i.e. a person comes to us - a disabled person, - we test them in the workshop, see what they are capable of, what kind of work we can offer to them, and then through a governmental adaptation programme we provide them with employment at our company, where we polish their skills and test their capacity, and within a year we find them employment at the labour market. In the 5 years of our enterprise, we have thus provided employment to 18 people", says Natallia Ampleeva, Art Idea director. She pointed out that at the moment, her social enterprise in Belarus is treated like a regular commercial structure, even though out of the thirteen Art Idea employees, ten have mental disability and three of them are elderly, none of them working full time. The company does not participate in any of government's rehabilitation programmes and gets no preferential treatment as a social business. Participants agreed that not enough attention is given in Belarus to social enterprises, helping them succeed and helping people with various disabilities find employment. 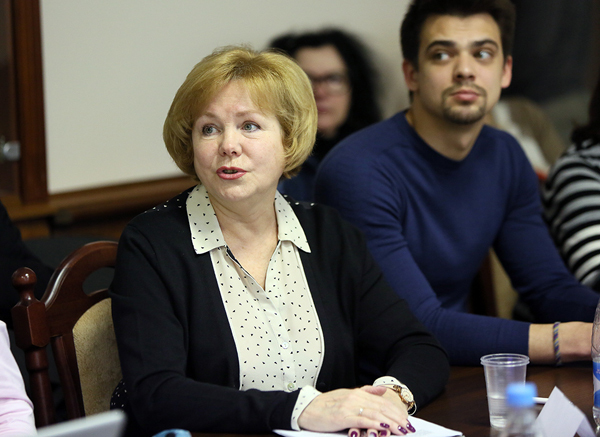 "Social entrepreneurship in Belarus, unlike Russia and the EU, is only beginning to develop rapidly", - says Galina Matushenko, director of Social Business Technologies, "but it gives us the benefit of having access to best practices, which we can adapt to the Belarusian context and make our work more effective. Mass media can play an important role in this process, because the most important and vital thing, according to social enterprises themselves, is to ensure that the society has a positive attitude towards social entrepreneurship." In many countries, social enterprises receive state support. 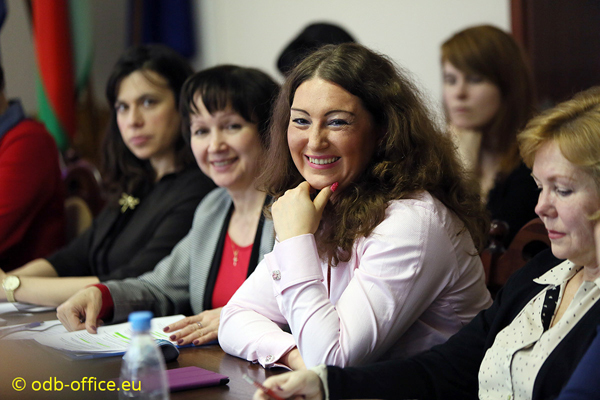 Belarusian legislation does not yet include the concept of social entrepreneurship or any clear criteria to define it. In order to find out who can be considered a social entrepreneur in our country, 15 experts from business and SCOs, including ODB Brussels, compiled a register of such enterprises and organized their own survey. According to its preliminary results, our country has about 200 organizations that can be considered to be social enterprises, falling into 8 types. Most surveyed companies work in manufacturing, commerce and services. These organizations provide employment to challenged people and generally pursue social objectives, or provide support to vulnerable groups of citizens. "As a rule, companies that use innovation become commercially successful or at least self-sufficient", says Alyona Lis, Senior Programme Officer at ODB Brussels. "Also, many companies do not pursue the goal of making a profit, but, for example, provide employment to as many disabled people as they can - in such cases, the social objective trumps over business sustainability concerns". This area is also being researched by the Public Opinion laboratory of the State Institute of Management and Social Technologies of Belarusian State University: in partnership with Aleksandras Stulginskis University (Kaunas, Lithuania) and with support from the Belarusian Republican Fund for Fundamental Research, the laboratory has been conducting a study "Social Entrepreneurship as a Form of Innovation Activity in Belarus and Lithuania" for a little less than a year. With the aim of developing social entrepreneurship in Belarus, ODB Brussels in cooperation with its partners is launching the Social Entrepreneurship Incubator programme, which will be carried out with support from the European Union and will include online education and training, as well as mini grants for social entrepreneurship startups.